Switzerland is beautifully known as the heaven on earth and is officially called by the name of the Swiss Confederation. With us, you will get the best car rental services and that also from the best suppliers of the country. You are advised to choose from several pick up locations available such as Geneva Cointrin International Airport, Euro Airport Basel Mulhouse Freiburg, Payerne Airport, Bern Airport, Zurich Airport, St. Gallen Altenrhein Airport, Lugano Airport, Locarno Airport, Sion Airport, and more. In Switzerland, the federal capital is Bern where you can see Old Town, the beautiful Rose Garden, Marzili Aareschwimmen and Zentrum Paul Klee. Then we have the city of Zermatt to explore Matterhorn Glacier Paradise Observatory, Matterhorn Museum and Mountaineers' Cemetery. Travelers must also see the Zurich city which is filled with attractions like Museum of Art, the Parkanlage Zuerihorn Bahnhofstrasse Pedestrian Street and Rietberg Museum. 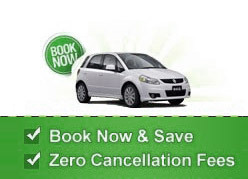 You should book our car rental deals at Switzerland. In the Lucerne city travelers can see the Lake Luzern, and the Lucerne Concert Hall. We have a 3 step rental booking process, just select your location, search for best deals, and book. Hire a car for Switzerland with us now!